As promised, night one download below. Please enjoy! The recording quality is excellent overall, with a few level issues on the intro to Golden Age, a 10 second cut-out during Blue Moon, and I’ve copied channels during a few moments of particularly loud loud-talkers. The first two issues were related to the fact that this was a new recording set-up for me and I was getting used to levels and button layout on my R-05. 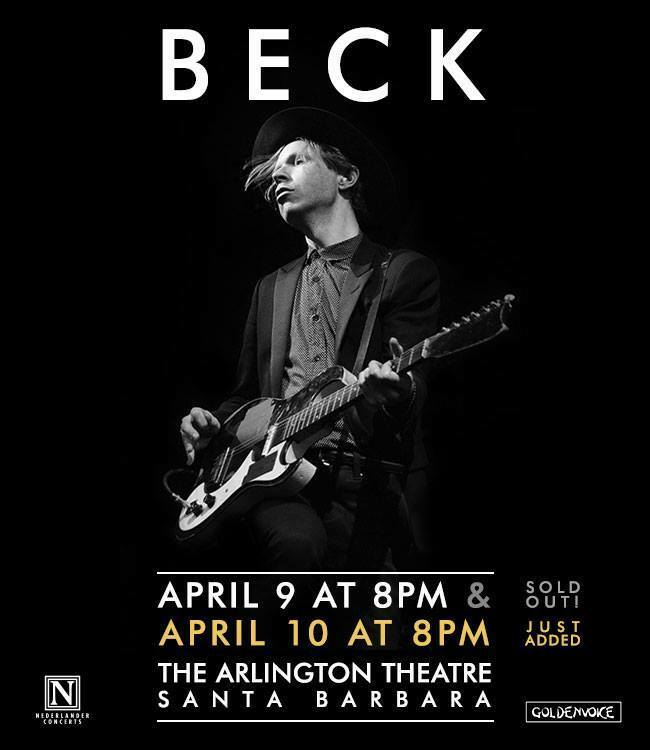 These were both sorted out after Devils Haircut, and night two came out nearly flawless – for that recording you can head over to http://np.cyanidebreathmint.net/2014/04/14/beck-arlington-theatre-santa-barbara-ca-april-10-2014/. As always, I ask that you do not convert this audio to other formats, but please do share and feel free to repost on other trackers. Gear list, setlist, and more information below.